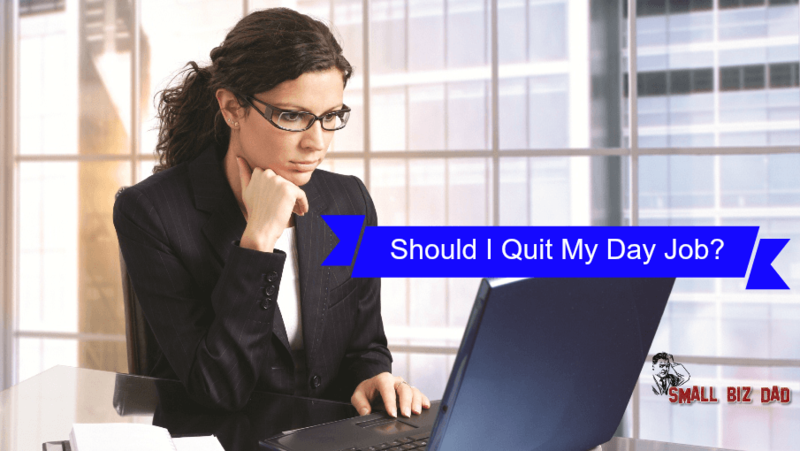 You are at:Home»Small Business»Should I Quit My Day Job? A question for many people who hold down day jobs while working for themselves on the side is should I quit my day job. This is a personal question that must be answered individually. But the question still remains should you quit your day job? I’m going to look at some of the challenges of quitting your day job and going it alone. I’ll also be looking at this from my own personal point of view. I work a full time job and it is the primary source of income for my family. I enjoy my job but it’s still a job that I don’t exactly look forward to on Monday mornings. I also have a consulting business on the side. I do very similar work in my consulting business that I do in my day job but it’s very different when you’re your own boss. So, the question becomes, do I quit my day job? I have three children and a wife. So the big issue here is stability. Right now I have a stable income with my day job and my consulting income is almost treated like extra. Take away the day job and that puts more pressure on the consulting gig. My fear is that will take away the enjoyment I get from the side business. Another issue is retirement. I have a very good retirement plan with my current job. Working for myself means that I’m responsible for putting enough money aside for retirement. Another real world concern and a reason I am hesitant to quit my day job is health insurance. I have pretty good insurance with my employer. As a consultant working for myself, I would be responsible for footing that entire bill. That extra money outflow eats into my money coming in. So, if I (or you) decide that it’s time to quit my day job despite all of these possible roadblocks, then what challenges do I face? Here are some that I see. Managing Your Time – When you quit your day job you have no one telling you that you have to complete a project by a certain deadline (except for the client). You have complete freedom to work on your own schedule. This is a good thing if you’re good at managing your time but if not…then it could be a problem. Do you like to surf the net or watch old episodes of NCIS on TV? If so then you may find yourself doing that instead of working on your business. I have found that using project management software and setting micro goals are essential in keeping me on task. 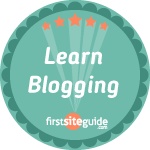 Keep Your Skills Current- As a DBA and developer, I know the importance of keeping up with my skills. It’s not enough to just do what I do now and expect it will be relevant 2 years from now. You must always be learning new things. That’s a bit easier when your employer sends you to training (on their dime) and pays for all of your expenses. When you quit your day job it will be up to you to foot the bill. And guess what…you won’t be getting paid while you’re doing that training. So this is a real concern. It will probably mean more late night hours reading white papers and doing online training. Balancing Your Work and Family Life – This is a biggie even now with me doing my consulting part time. I can’t imagine how difficult it would be if the consulting was my only income. If I decide to quit my day job then I have to sit down with my wife and ensure that we have a plan in place to balance work and family. Planning is the key and sticking to the plan is essential. Finding New Clients – This one is often overlooked. I think many consultants who go full time think “I’ll quit my day job and clients will be beating down my door to give me work”. That would be great if it happens but it’s not guaranteed. Once you’re the boss then you’re the one responsible for bringing in new clients which means you had better be a good salesman. If not…you’d better hire one. A side note here, marketing cannot be forsaken. Word of mouth is great for attracting new clients but you have to really put yourself out there and market yourself when it’s your full time job. Team..What Team?– Unless you have a team in place already you will most likely be working alone. I know that if I were to quite my day job I would be all by myself. With an established employer you usually have an infrastructure in place which may include support personnel and subject matter experts whom you can consult with at will. So, I hope I’ve given you something to think about if you’re thinking of quitting your day job and going it alone. I know that I won’t be taking the leap soon…but I have to admit it is tempting some days (usually Mondays). Let me know in the comments below any other Pros and Cons to quitting your day job.